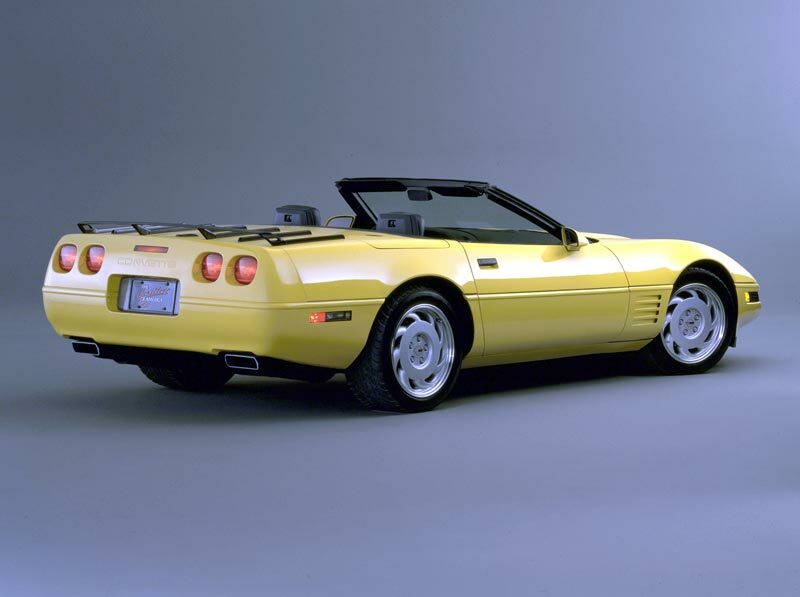 1992 Corvette: Official GM Photo. 1992 was a very good year for the Corvette. 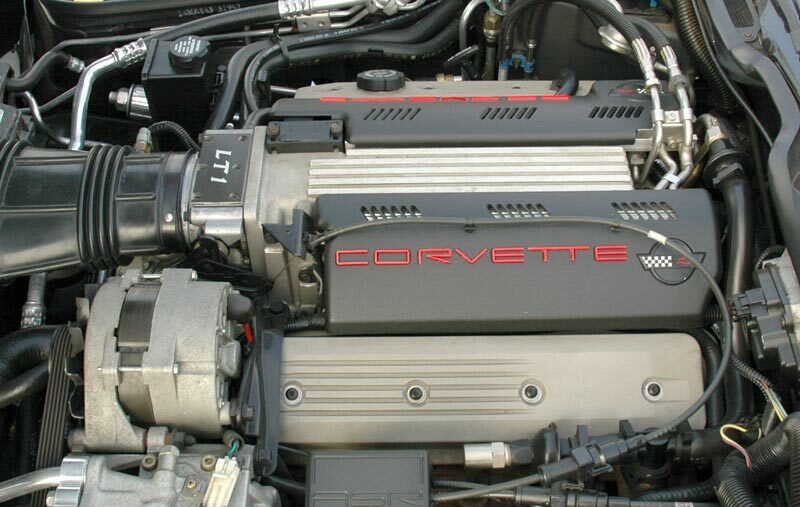 The LT1 (above and right) was named after the highly regarded solid lifter small block LT-1 (note the hyphen) motor first used in the 1970 Corvette. The horsepower increased by 20% to 300 hp. 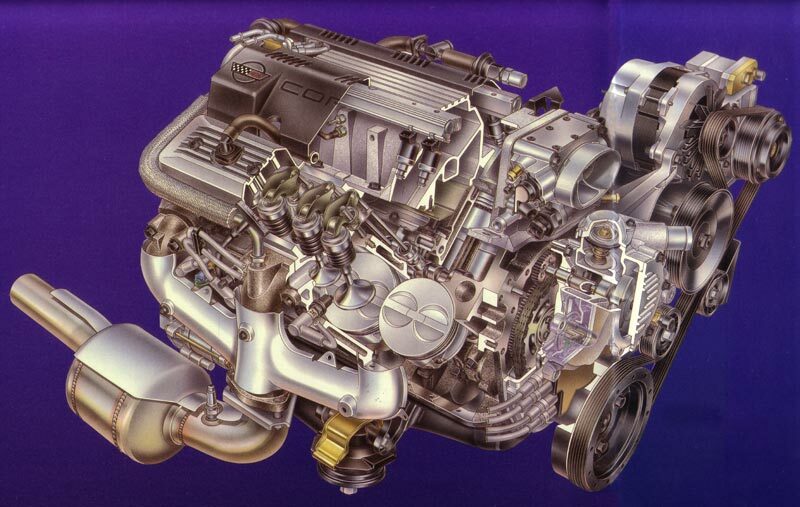 This was accomplished by using computer controlled ignition timing, a low restriction exhaust system, a more aggressive camshaft profile and free-flow cylinder heads. Max. 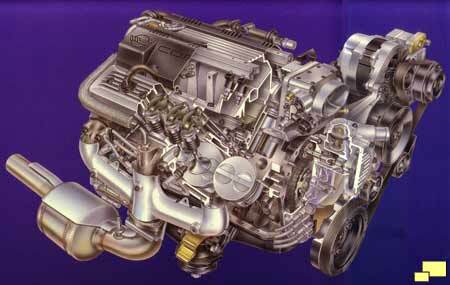 RPM was 5700, a whopping 700 RPM more than its L98 predecessor. 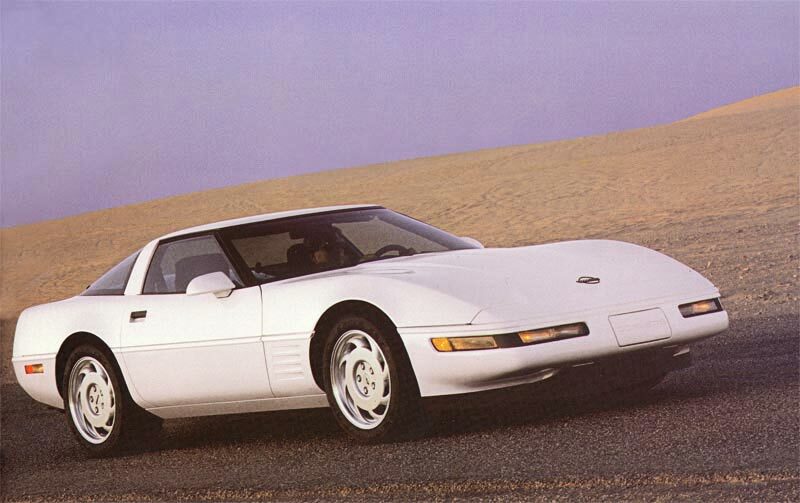 Something special happened in 1992: The One Millionth Corvette was built! Click Here for details. Notes: Base Corvette Coupe with 350 cu. in. 300 hp engine and four speed automatic transmission: $33,635.00. Base Corvette Convertible with 350 cu. in. 300 hp engine and four speed automatic transmission: $40,145.00.